﻿Zane Grey, famous American author and angler, described New Zealand as an “angler’s El Dorado”. He was right on the mark, especially when you look at the trout fishery. 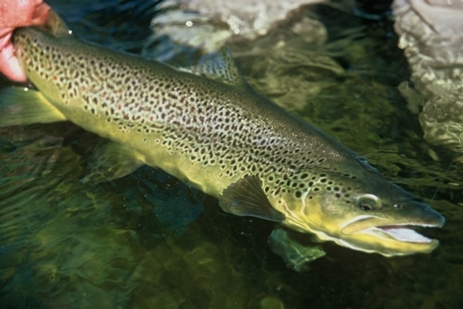 Over the years, New Zealand has developed a reputation for having the best sighted river fishing for trout in the world. And Owen River Lodge, with its easy access to the Nelson, Marlborough, North Canterbury and West Coast fisheries at the top of the South Island, is perfectly positioned to put you at the centre of all the action. The average trout size ranges from 3lb to 6lb (there’s nothing average about that!) but each season our fishery grants many an angler’s dream of landing a 10 pounder. Simms G3 Gore-Tex waders (ladies’ and men’s sizes available), Simms Gore-Tex wading jackets, Simms Guide and G3 wading boots - size 5 up to size 14, and a large range of current model Sage rods (One, Method, Accel & VXP) and reels. Owen River Lodge is one of only two fishing lodges in the world selected by Sage to be a fully-authorised dealer. ​We offer a friendly, professional service for both experienced and novice fly fishers.